 More than 1100 actors and industry notables gathered at the Shrine Exposition Center on February, 22, 2004 to celebrate the 10th anniversary of the Actor® ceremonies and the 70th anniversary of Screen Actors Guild. The art deco movie palaces of the 1930’s, when Screen Actors Guild was in its infancy, were the inspiration for a new set and décor designed to create the evening’s elegant ambiance. In tribute to the Screen Actors Guild Awards® 10th annual ceremony, Sean Hayes introduced “And The Actor Went To…,” an exuberant look back at a decade of memorable SAG Awards® moments. After an homage on film by Kirk Douglas, Patty Duke, Angela Lansbury and Eva Marie Saint, a graciously eloquent Karl Malden accepted Screen Actors Guild’s 40th Life Achievement Award from Michael Douglas. PEOPLE magazine and the Entertainment Industry Foundation (EIF), hosted the Screen Actors Guild Post-Awards Gala for the eighth-consecutive year to honor the philanthropic causes and good works of the members of the Screen Actors Guild. The gala, benefiting the Screen Actors Guild Foundation and commemorating PEOPLE’s 30th Anniversary, immediately followed the SAG Awards in a flower-filled tent on the the Shrine Exposition Center’s backlot. Gala guests were treated to a spirited performance by rock sensation Gavin DeGraw who was spontaneously introduced by Actor® honoree Charlize Theron.